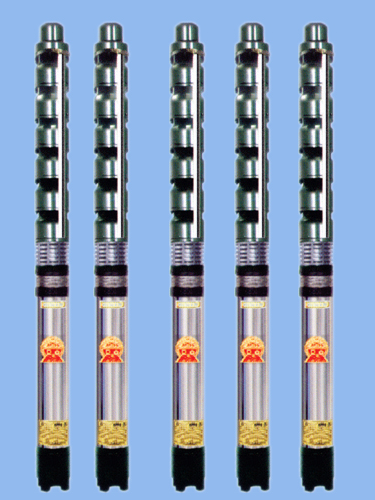 We are the leading manufacturers as well as suppliers of V4 Submersible pump in India. Our pumps and their motors are made from supreme quality materials in addition to the utilization of the most updated technology in adherence to the international standards of quality. Our compact & light in weight pumps are designed and engineered by our experts and are very simple to assemble & dismantle. Our high performance and power-efficient V4 Submersible pumps can also be very easily installed & uninstalled, even in deep boreholes, which is why our customers prefer them apart from their cost-effective aspect. These are given Lip seal besides sand guard to inhibit impurities from entering the motor. These are unaffected by the fluctuations in voltage. They have rigid cast iron valve casing as well as inlet bracketin addition to diffusers with stainless steel inserts. 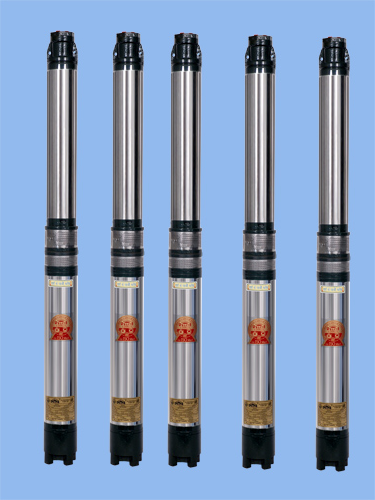 Our V4 Submersible Pumps can pump up water from the bores of 4" diameter and beyond. These have a very long working life and are available with us at very genuine rates. H.P. Range 0.5 H.P. to 5.0 H.P. 1.0 H.P. to 5.0 H.P.